Long Realty is pleased to welcome Associate Broker Dee Wiese to the Casas Adobes Office at 6875 N. Oracle Rd. #125 in Tucson, Arizona. “I started doing real estate because of the flexibility of the career, especially while I had children in school. In today’s real estate market, Long Realty is the best company to work for because they offer the most support to their clients and realtors. My motto has always been ‘Professional Service with a Personal Touch,’ and Long Realty stands by me at each level of my business,” said Dee Wiese, Long Realty Associate Broker. “Dee is an honest real estate agent, and we can always count on her to work hard for her clients’ best interests. We can attribute her success to the contributions she has already made to Long Realty and Tucsonans,” said KC Woods, Long Realty Regional Manager of the Casas Adobes Office. Dee is originally from Seattle, Washington, and has been in Tucson since 1977. She graduated from the University of Washington Business College with a degree in Personnel Management. She received her Realtors License in 1983 and her Brokers License in 1990. She has earned designations of Associate Broker, Certified Residential Specialist (CRS), and Graduate Realtor Institute (GRI), specializing in residential real estate. She has two grown daughters and enjoys church activities, giving dinner parties, helping neighbors, and needlepoint. For more information about Long Realty, visit www.LongRealty.com. Contact Dee Wiese at deewiese@longrealty.com or visit her website at www.deewiese.longrealty.com. 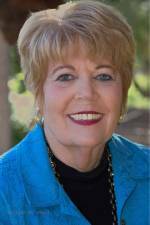 Share the post "Long Realty Welcomes Dee Wiese to the Casas Adobes Office"